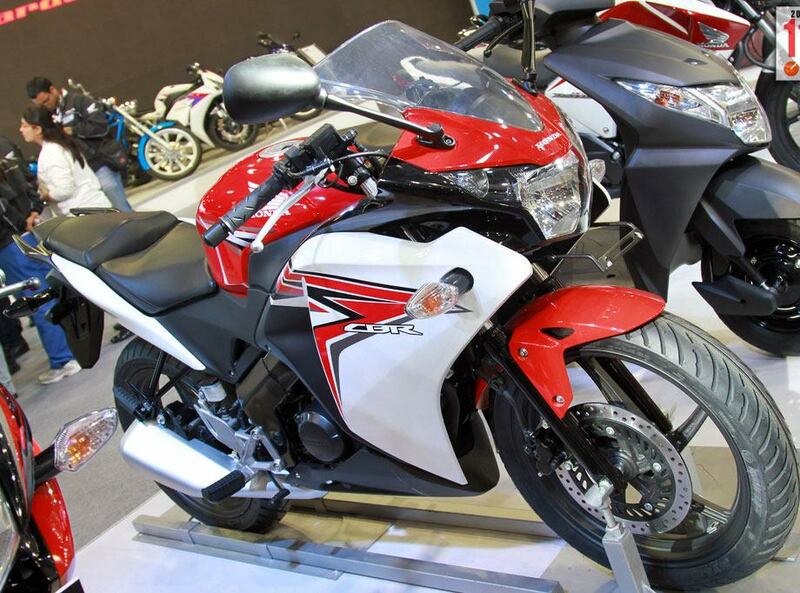 Honda first wooed enthusiasts by displaying its CBR150R at the Delhi Auto Expo in January 2012. Honda launched the world-class economy sport bike at Rs 1,17,385 ex-showroom, Delhi. Honda has launched the smaller CBR 150R in the Indian auto market at Rs 1,16,385 (ex-showroom, Delhi) for the Standard and Rs. 1,17,385 (ex-showroom, Delhi) for the Deluxe variant. 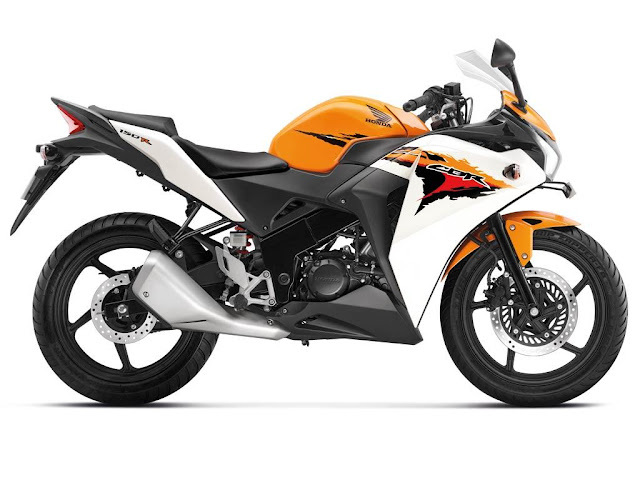 The CBR 150R has a light and compact DOHC 150cc engine which produces a peak power of 17.6PS at 10,500rpm and a peak torque of 12.66Nm at 8,500rpm, which is ideal for city riding conditions. The CBR’s engine, mated to a six-speed gearbox, will be liquid-cooled and fuel-injected with their patented PGM-FI technology. Front & rear disc brakes will be standard on the bike, it will also have mono-suspension and wide front and rear tubeless tyres offering better stability while cornering. The Honda CBR150R is based on a 149cc 4-stroke carburetted single cylinder 4 valve DOHC engine with 11.0:1 compression and CDI ignition, mated to a 6-speed wet clutch manual transmission. Honda CBR150R generates 18.5 Bhp at 10500 rpm and 13.5 Nm of torque at 8500 rpm. It is not a fuel injected version as is in its die-hard rivals which can prove a flaw to some of the bikers. Honda CBR150R comes loaded with the fine tuned mesmeric features making it one of the most sought after bikes among the bike lovers. It features a unique eye design lights which give safety for the night ride. The side mirror handles come in line with the windshield as we see in the big bikes. The round built-in tail lights with separated signal lights further enhance the sporty look. It has a well designed speedometer with clear display of speed, rpm, fuel, lights and engine temperature at one glance. Like the other high end bikes in the country, the Honda CBR150R is sure enough to feature disc brakes at the front and rear so that it can compete with its competitors altogether. No wonder, this bike shows the persona to become a great lure in the biking community in the country. 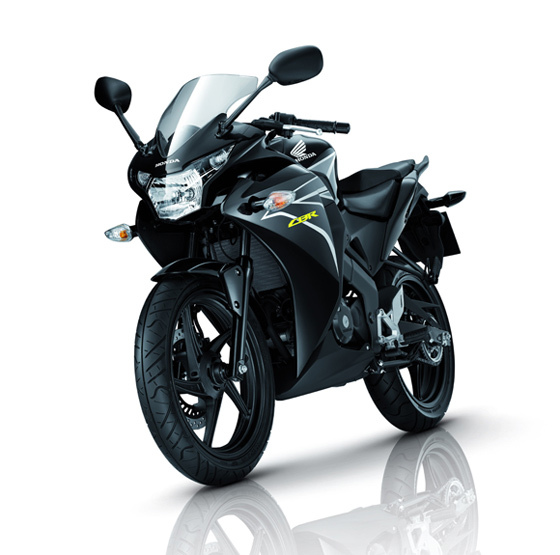 Honda CBR150R employs telescopic shocks at the front while the rear depends on the monoshock. The 4-level adjustable monoshock suspension serves more dynamic and responsive feedback even in undulating road conditions. Brakes are discs at both the front and rear, sized 276mm at the front and 220mm at the rear. They are the perfect stuff with the high precision which can keep the bike in foolproof control avoiding every bit of chance mishap or trouble. 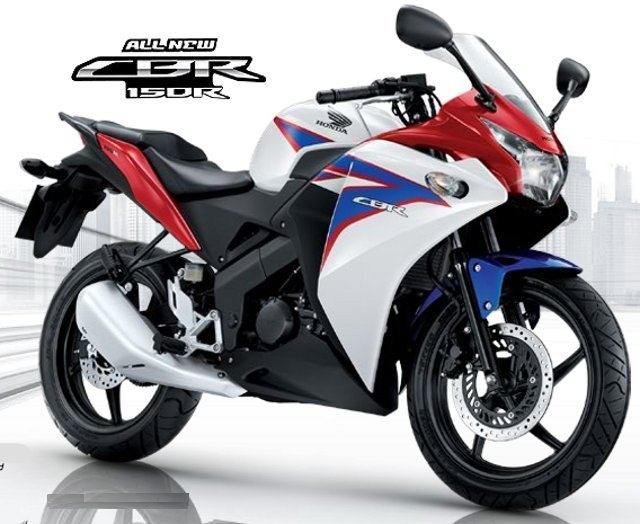 Honda CBR150R is available in two variants - Standard and Deluxe. The Deluxe variant features sporty graphics and Standard variant is available in red and black shade only. Technically both the variants are same. 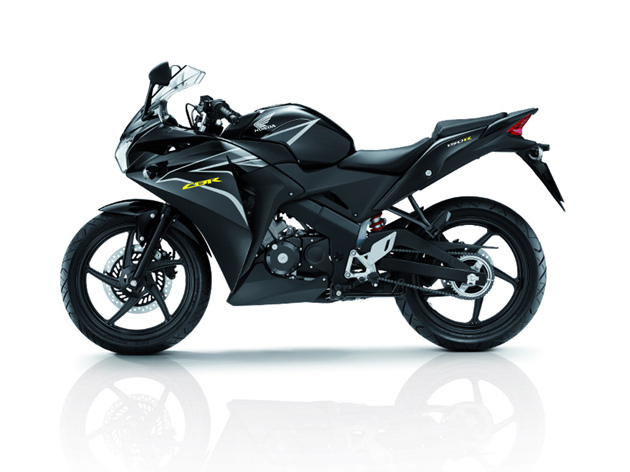 Honda CBR150R has been priced very competitively at Rs. 1,16,385.00 for the standard variant and Rs. 1,17,385.00 for the deluxe variant. 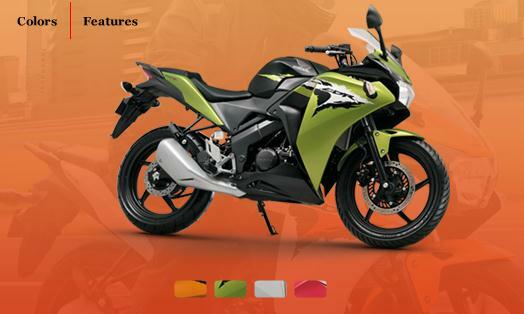 The price seems to be quite reasonable considering the fact that it features a liquid cooled 150cc engine. 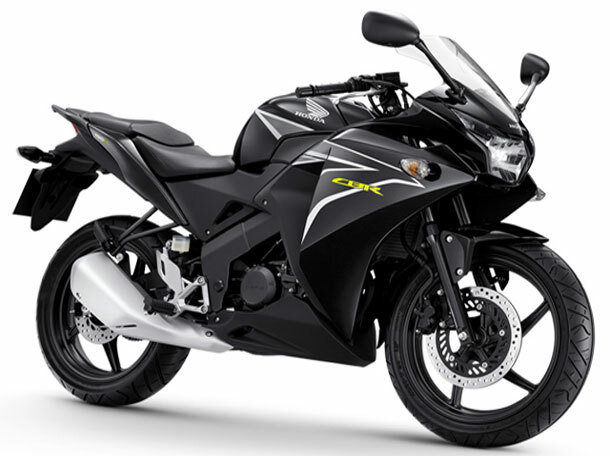 The on-road price of Honda CBR150R in Mumbai is Rs. 1,34,000.00 for the standard variant and Rs. 1,35,000.00 for the deluxe variant. 2012 Honda CBR150R features a very neat instrument cluster which is dominated by the analogue tachometer in centre and digital speedometer is placed below it. The orange backlight for the screen looks very cool especially at nigh. 2012 Honda CBR150R uses tube type one side operating suspension at the front while the rear is a tube type both side operating suspension. Brakes are discs at both the front and rear, sized 276mm at the front and 220mm at the rear. Most of the high end bikes in India now feature disc brakes like we have seen in Apache RTR 180, Bajaj Pulsar 220, Hero Honda Karizma ZMR & Yamaha R15. Honda Cbr is the latest bike launched by Honda. This bike has 149.4cc 4-stroke,single cylinder, 4-valve, DOHC engine, it deliver high power of 18 Bhp and 10500 rpm.It has great features like Stylish Speedometer, Powerful high performance engine,Four eyes Ring tail lights etc. This bike gives a great performance and a high speed of 160kmpl. Ingeniously designed – the Activa is made for you to go miles, to do things and to go places. With your loved ones. Developed on Honda's globally tested engineering technology, it comes with a host of new features. The seats maximizes riding comfort. Thus offering you a smooth ride. 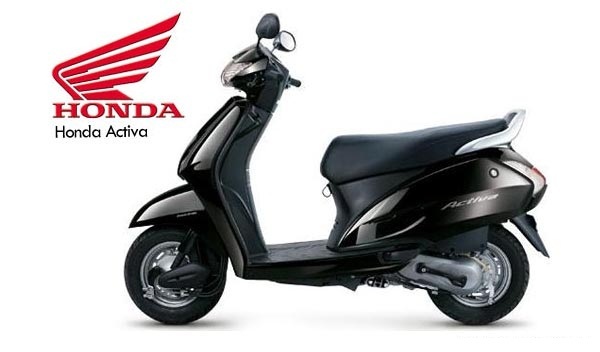 Perfect in design and technology, the Activa is more than just a scooter. With an increased mileage of 15%*, it allows you to enjoy your rides, no matter how long they are. So now you can enjoy life without stopping. Step onto your Activa, spread the joy with your loved ones, and go on and on. Most important thing about the change is, there are no mechanical changes done. All improvements are done on visual or aesthetic side. 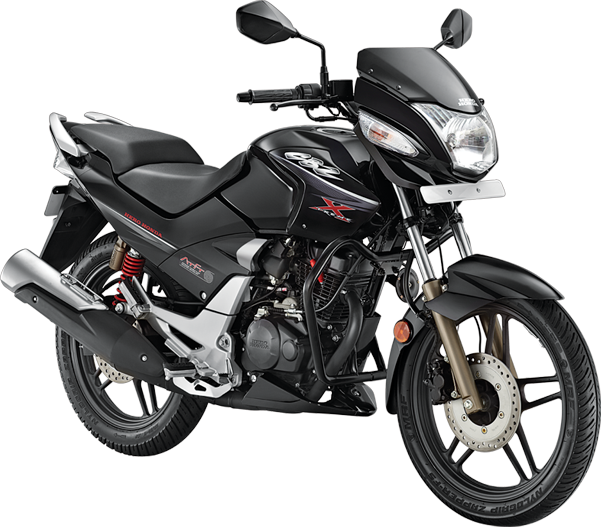 Hero Honda India has given another minor face-lift to its popular bike, CBZ X-treme, which now gets host of new comfort and safety features. Technically, there is no major change and it is powered by the same engine. 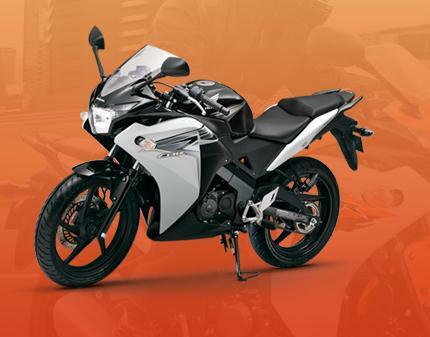 New CBZ Xtreme has all the Hero Honda hallmarks - engine refinement, slick-shifting smooth gearbox, top-of-the-class vibration isolation, low engine noise and quality components. Hero Honda is now Hero MotoCorp and the company revealed its new identity at a mega event in London, UK. Rajasthan State Mines and Minerals Ltd.